Needless to say, I didn’t make pancakes often. Until now. Because I now make them in the oven. Which makes the whole world run a little more smoothy. Parchment paper= little cleanup and oven= little labor, ability to multitask, and eating WITH my family. 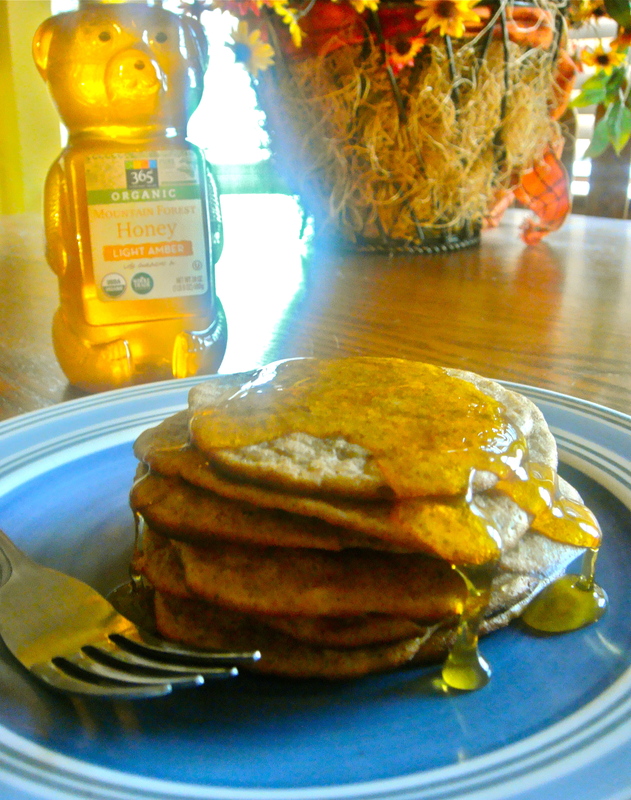 So this is a modified version of the banana pancake recipe that has become increasingly popular. You can try to make them traditionally, but I found they are even more hard to flip than regular pancakes. Preheat the oven to 400 degrees. Line baking pan with parchment paper. Place banana in a bowl and mash well. Add in the rest of the ingredients and combine. Pour batter onto pan, using 2 tbsp worth for each pancake. Bake for 13 minutes. These sound amazing! Thanks for sharing! I like the idea of a baked version, although I rarely eat flour products these days (from any source), particularly since flour foods do better without added fat or sugar, from my personal experience. This can easily be made vegan by adding another 1/2 of a ripe banana to sub for the egg too- great for anyone avoiding eggs by choice or due to an allergy. Of course! Glad you’re finding recipes you like 🙂 I’m loving the recipes on your blog as well!